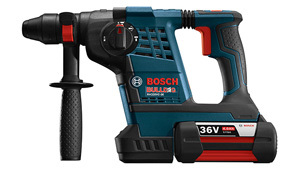 The Bosch RH328VC-36K 36V Bulldog™ Rotary Hammer is a 1-1/8 In. 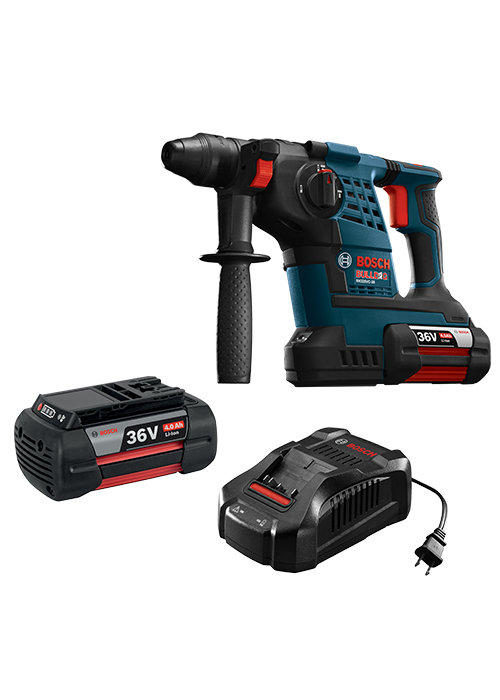 SDS-plus® rotary hammer that provides the power of corded rotary hammers with the convenience of 36V cordless technology. 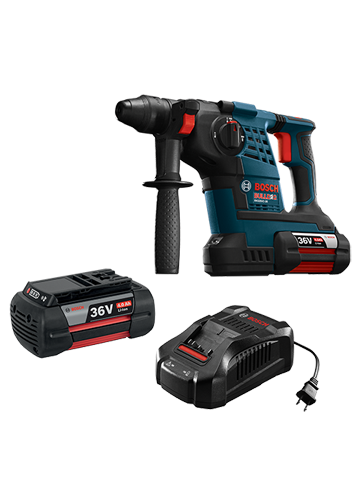 The Four Pole motor delivers 4,100 BPM, and it has Vibration Control for additional control while mitigating vibration. 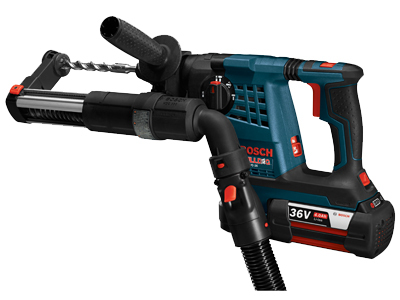 For users who are looking for mobility and muscle, this powerful rotary hammer offers 36V power combined with long battery runtime, user comfort and a variable-speed trigger with reversing. This hammer provides Electronic Precision Control for smooth starts, Vario-Lock positioning to rotate the chisel and KickBack Control to help with bit bind-up situations. 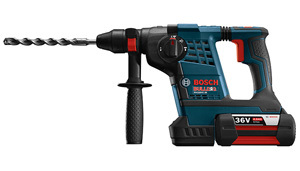 It has three modes: rotary hammer, rotation only and hammer only. Max. Capacity in Concrete 1-1/8"
Max. Capacity in Wood 1-1/2"